The personal use of drones is not allowed at Monarch Mountain. As stated in our USFS winter operating plan, Monarch Mountain may use Unmanned Aerial Systems (UAS) in a limited capacity for Marketing and special events purposes at in compliance with the FAA rules effective on August 20, 2016. 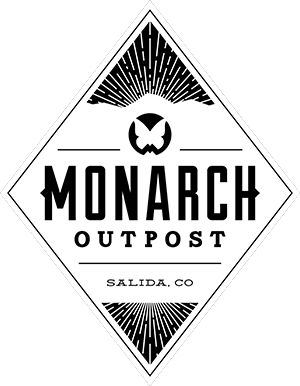 Monarch Mountain does not own a UAS or employ a pilot. Monarch may work with a 3rd party that has one of the following: A commercial pilot and a Section 333 exemption, or a person with a remote pilot airman’s certificate operating within the guidelines of FAA Section 107. Any UAS used at Monarch must weigh less than 55 pounds. The operator (or pilot-in-command) will keep the drone within line of sight, and as the rules state, visual observers may be used to assist the operator if necessary. Any drone operations will be conducted during daylight hours only and not earlier than 30 minutes before sunrise or later than 30 minutes after sunset. Any UAS used within these 30-minute thresholds will be equipped with anti-collision lighting. Any flights conducted will have three miles of minimum weather visibility from the UAS control station. The maximum allowable altitude for operations will be 400 feet above the ground, with a maximum speed of 100 mph. The operator will register any UAS used at Monarch Mountain with the FAA. Monarch Mountain will require a certificate of insurance naming PowderMonarch LLC and the USFS as additional insured with a $2M minimum general liability coverage. Any serious injury, loss of consciousness, or property damage of more than $500 must be reported to the FAA within 10 days of the incident. Before every flight, the pilot will perform a pre-flight visual and operational check of the UAS and ensure the systems are operating properly. Any operation of UAS over guests on the ground who are not directly participating in the operation of the drone may only be conducted if people below are in a stationary (not moving) vehicle, or if the persons are covered by a structure. The new rule 107 does allow for UAS operators to request a waiver of this prohibition directly from the FAA and submit an application requesting certain requirements, safety equipment, and other practices designed to minimize the risk of injury to individuals. Any liability waivers needed for this type of operation must be acquired to do so. Any UAS operations and associated documentation must be submitted directly to the USFS in advance for review and approval. USFS Fire Dispatch center must also receive a courtesy call at 719-553-1600, to let them know when UAS operations are occurring.